Connecting the Old World with the New, since 1764. All of our events are open to the public. We welcome members and non-members alike. Join us on Friday, October 26th, 2018 at 7th and Spring Garden Sts. for the third annual Poe Arts Festival. This event is a ghoulishly macabre celebration of the life and work of Edgar Allan Poe, literary genius and master of mystery, as well as of the lasting inspiration he has provided for generations of artists from Philadelphia and beyond. The event will make use of the German Society's historic building to showcase Poe’s poetic legacy and imaginative flair in a variety of forms, including performances, music, talks, tours and other activities. In conjunction with the German Society's Poe Arts Festival, the Edgar Allan Poe National Historic Site will be open from 5:00--9:00 p.m. Visitors may explore the historic home and exhibits and hear dramatic re-telling of "The Black Cat" in the cellar and hear Edgar Poe recite his favorite poems. 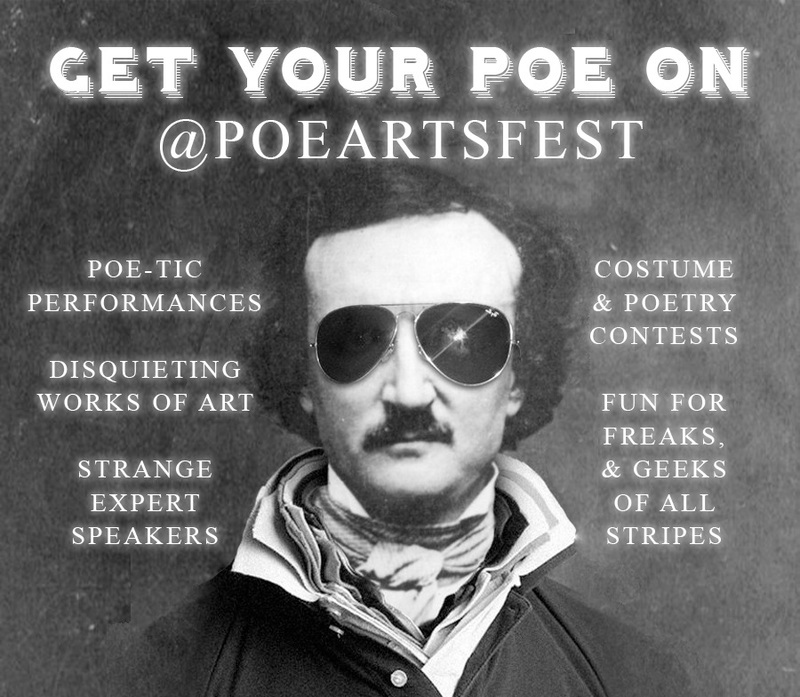 Guests are encouraged to come in Poe-inspired costumes and prizes will be awarded for the most creative! For further information visit: www.PoeArtsFestival.com.